We are an island family owned business, and look forward to welcoming you to our island home. Inside, you will find everything you need to plan and book your excursion on the island, both land and sea! 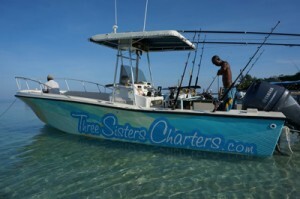 From a day deep sea fishing aboard our 26 foot Mako the Dana Mashall, to island tours and snorkeling adventures aboard our original Panga, the Three Sisters, to the many land based adventures offered by our island partners, we expect you will find the perfect combination to fulfill your island fantasy.